All of the themes for this year’s StorySlamMN! season are based on feelings. 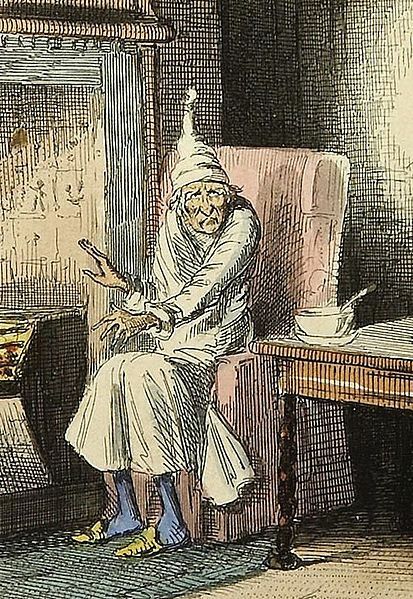 The theme for March is “thankful.” Which is why I am responding like Scrooge at Christmas. Bah, humbug. “Thankful” is a feeling many stories are built around. Badly. One of the things I often do when exploring a story prompt is go to the definition of the word. Cheap Theatre, another venue in the Twin Cities, regularly gives definitions of the word that is the theme of the month to its performers, to stimulate ideas. It works pretty well. How thankful is defined tell us a lot about what drives the feeling. Quotations abound about being thankful. But I’m still weeding through to find ones I want to use as story prompts. The nouns most often associated with “thankful” in many of these quotations are “duty” and “debt.” The verbs are”should” and “owe.” Those words alone, when unexamined, can cripple a story. Authentic stories are hard work, with twists and turns that need investigating. Sometimes we are so relieved to find a positive ending that we neglect doing that work. Especially when we only have five minutes to tell a story – roughly 750 words, the length of a blog post. I do not want to be shallow or sentimental. I do not want to do a motivational speech. I want insight, epiphany, recognition. So I entered into the theme with trepidation. Thanksgiving as a family meal. Returning home. How this has changed now that my parents are in their 80s. Grace before meals. My father and his Teepee of Love. The Pagan grace they used to say at Aidan’s Waldorf school. The Buddhist prayers I say when I pray now. Are they prayers if they’re not addressed to anyone? Or just blessings? What’s the difference? Does it matter? The years-late thank you card to Uncle Pete. Being thankful for difficulties. Tiny Tim god blessing every one. Ambivalent feelings. Gratefulness and guilt, resenting being indebted. Not all of these are images, exactly. Some are events. Some are words I associate with images. Some are problems I haven’t figured out. One (#7) has already appeared in another story, and I think I’ve done it justice there. What surprised me was how much the word seems to be pushing me toward a story about prayer. Which frankly scares the crap out of me. I’m not the sort of person who can write a five minute story without writing a fifteen or twenty minute story first. Hell, sometimes I have to write a 50 minute Fringe show to get a good five minute story that explores something I have unresolved thoughts and feelings about. And I have a lot of unresolved feelings about prayer. A story that touches on prayer – at least for me – has the potential to get very, very messy before it can get to that point of genuine insight, or become neat with any integrity. Which is a lot of work. If prayer is what I choose to focus on, at least I know I have material. That’s something to be thankful for, right? Have you ever tried to write or tell a story about feeling thankful? Or are you working on one now? What do you think makes such a story genuine and real? What makes it worth the work you do to get there? Hi Paula, I’d much rather write unhappy endings but I do have a fun story coming out soon where the MC ends up satisfied with her life, and probably thankful. Alas, not sure what makes it work, might be that the tone is quite light. Thanks, Anne. It shows how different our genres are that when you referred to the MC I first read Master of Ceremonies… ;-) I’m really fine with stories that reflect on the theme thankful – even stories that end happily. I just find it is often too tempting to settle for a quick fix when writing and performing them. Now that I’ve waved that red flag, over the month of brainstorming, drafting and revising, I know my blog readers will help keep me honest and real. I too strive to tell stories that offer “insight, epiphany, and recognition.” If I’m going to invest time in learning a tale and asking the audience to give time to hear it, I want my story to enlighten the world. I dislike personal stories that feel like navel gazing or stories that favor “clever” over “wise.” I like your use of larger fonts to highlight ideas because it made this blog easier to read! Thanks, Carol. (See, I’m not opposed to thanks.) What I most worry about in my own work is settling – the story that could be an epiphany often starts out as “just” navel gazing; the story that could be wise sometimes gets derailed with clever. Especially in a time crunch. The larger font headings are meant to do exactly what you say, so I’m glad to hear they are working. I sometimes feel gimmicky doing that, because it is a characteristic blog format. But it does help people get an initial idea of what the post is about, so they can decide whether they want to invest time in reading the whole thing. Lives are lived so fast these days.